One of the best things about hiring A Local Van is that you know their services will be professional, prompt and flexible to your needs. This is all proven by their countless raving reviews that cannot say enough about how enjoyable it was to work with such a reliable team of movers. This family owned company is focused on making sure you are happy with the results of the move and are relaxed throughout the process knowing your belongings are in very capable hands. Moving from one home to another or one city to another is often a stressful experience for homeowners. 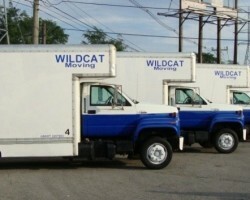 This doesn’t have to be the case for you when you hire Wildcat Moving. This is one of the full service moving companies in Louisville, KY that really care for their clients and the possessions of their customers. You can be sure that when you hire this team, you are only working with the most honest and professional team of movers and packers in the business, which will certainly ease your stress and worry. Chappell Moving & Storage is one of the few house movers that are available at any time of the day or night to make your move even easier and completely at your convenience. Whether you need to move your office to another space in an organized manner or need to move your possessions out of an apartment quickly, this team is there to offer their expertise and skills at affordable prices. This team will even move larger, precious items like a piano for relatively cheap rates too. 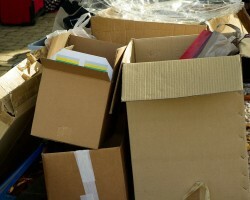 Arrow Moving & Storage is a local moving company that is flexible to your needs, your timeline and your budget. This team is so flexible that they even offer nationwide moving services when needed or they can even keep your belongings in storage when you need a staggered move from one residence to another. This certified team has been helping clients move since 1993. 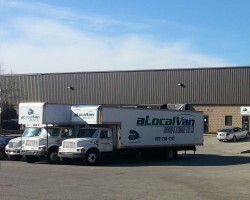 In that time they have become known for their professionalism in both the commercial and residential moving industries. DZ Moving is the company that you hire when you would like an easy and organized moving process in Kentucky. This expert company of Louisville movers is there to care for your belongings as if they were their own. They will carefully pack the moving truck to be sure even the most fragile items stay in place for however long the journey may be. They will also unload the furniture and boxes in the specifically designated rooms to make the process of moving to being settled even more streamlined.